Most watches sold today are sold as fashion pieces that serve little to no purpose other than helping you look good. Unfortunately, at the first sign of distress, these watches fall apart and you’re left without the time any longer. When the enemy is bearing down and you have to make ti to the evacuation point by 0500 it’s pretty darned important to know how much time you have left to make your way over there. That’s why tactical watches make sense, and not just for military guys, or police officers or members of the SWAT team either. If you live an active life like I do, a good tactical watch is worth its weight in gold. It will help you keep up with the time while you camp, kayak, snow, ski, snorkel and do everything else that it is you like to do. I have quite a few tactical watches, and some of my favorites are particularly rugged and useful when in tough situations. This is something that so many want when you work within a tough field and do not want to spend hundreds upon hundreds for a watch that is just going to get beat up anyway. Protect yourself, protect your watch and make sure to protect your wallet, but still wear something you love. 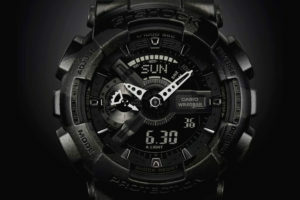 If you’re looking for a watch that can stand up to heavy use, take a look at this guide. I won’t tell you what watch to buy, but I can help point you in the direction of a few products that are still working well for me. I have each of the watches on this list, and I don’t regret any of the purchases either.